Currently works as a freelance illustrator for video game studios. She has drawn posters for several Spanish events and her work has appeared in different publications around the World. 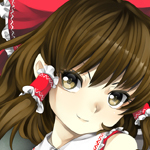 She is in charge of the Spanish doujin circle CYCLIC★REDUNDANCY.